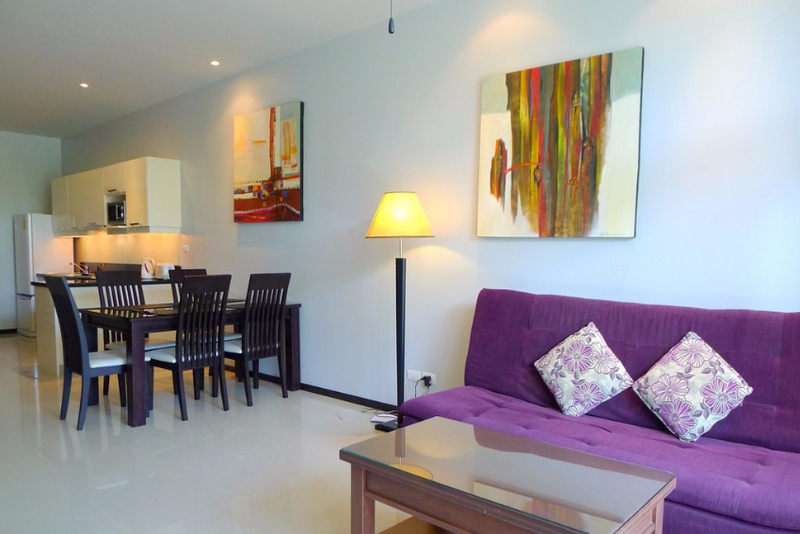 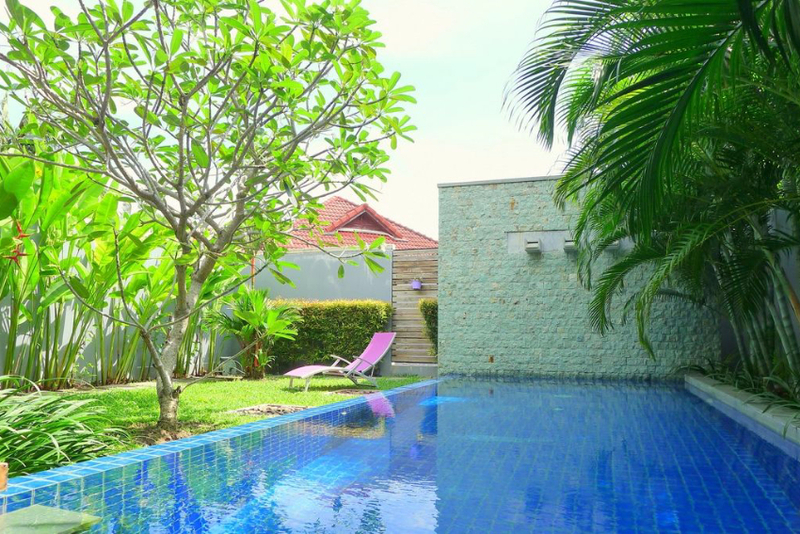 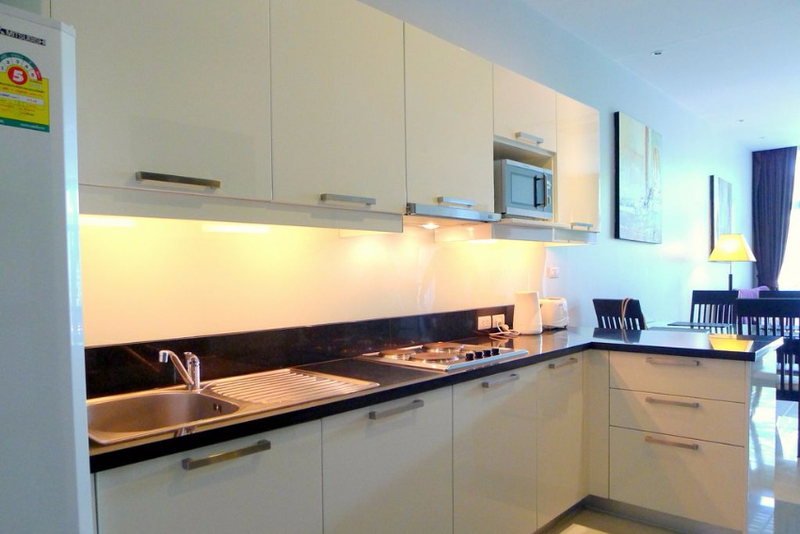 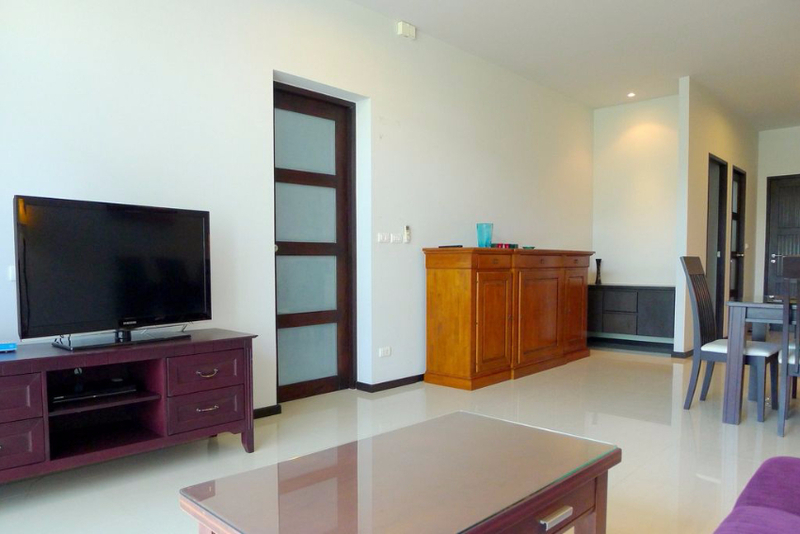 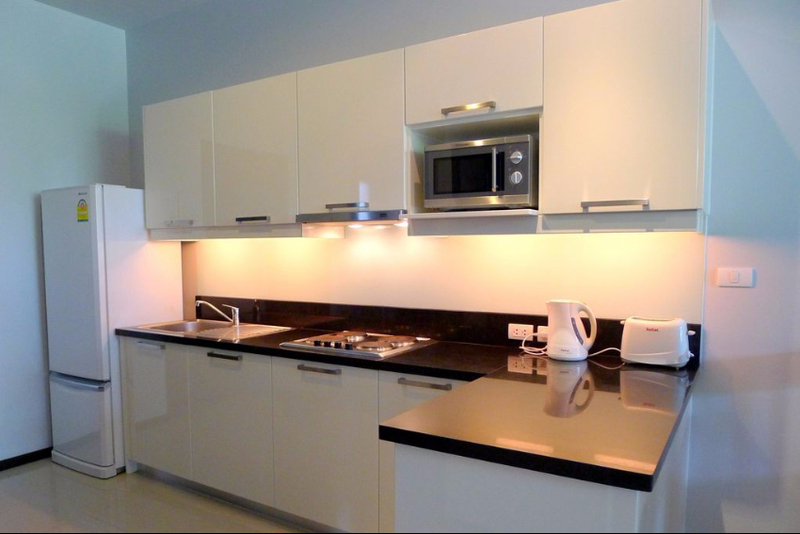 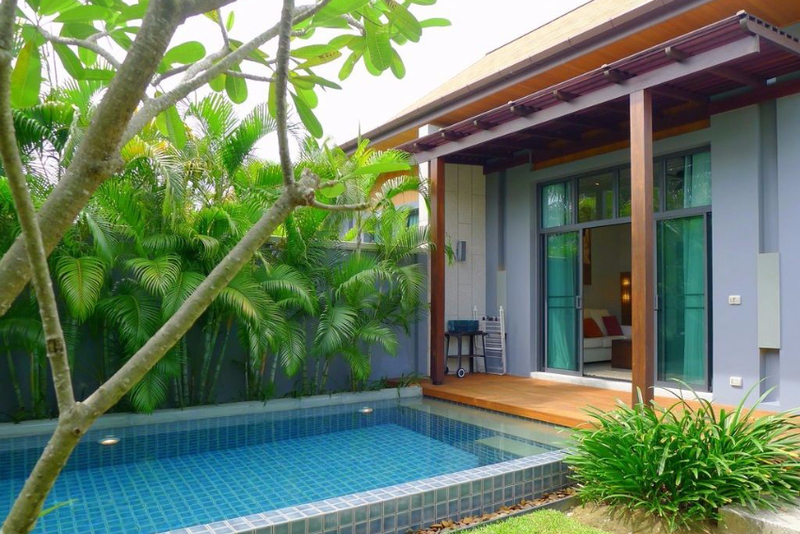 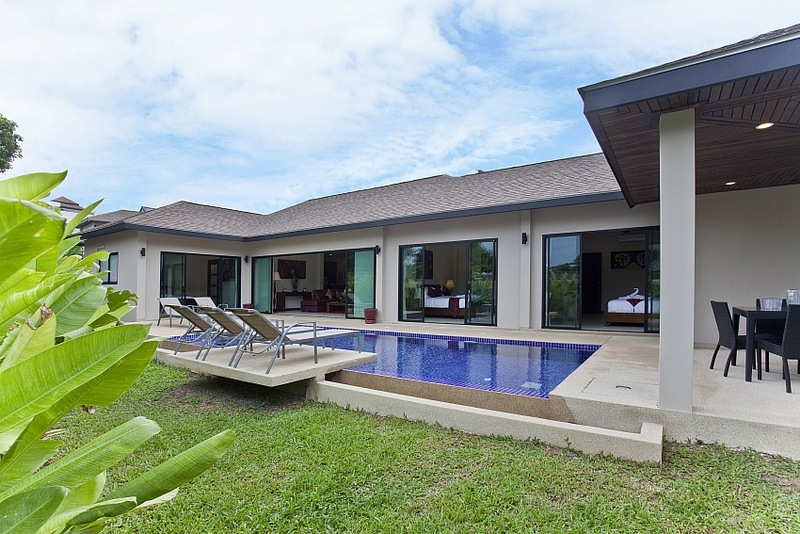 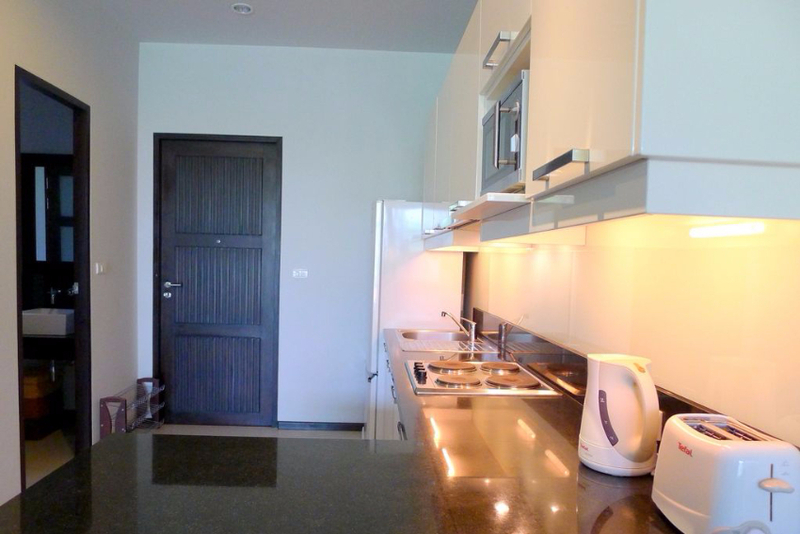 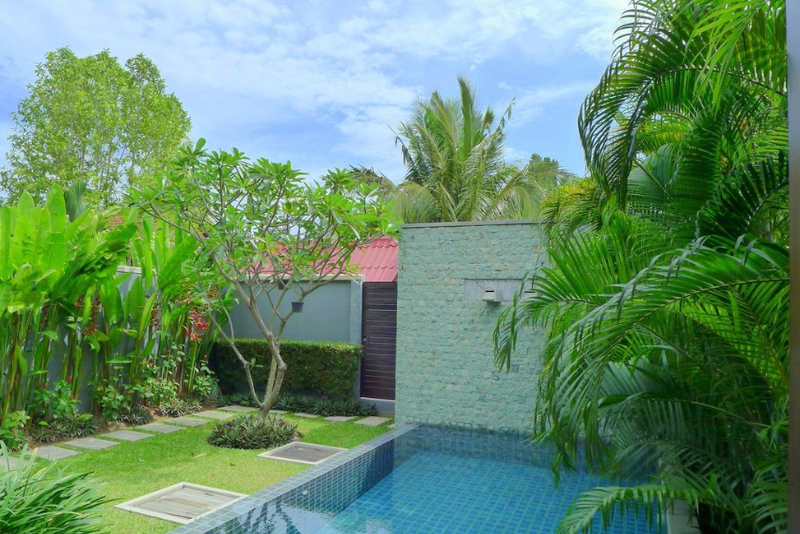 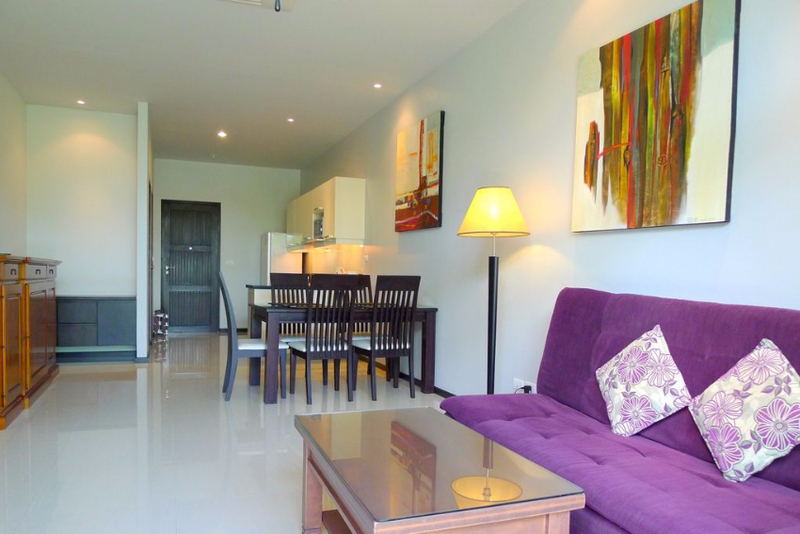 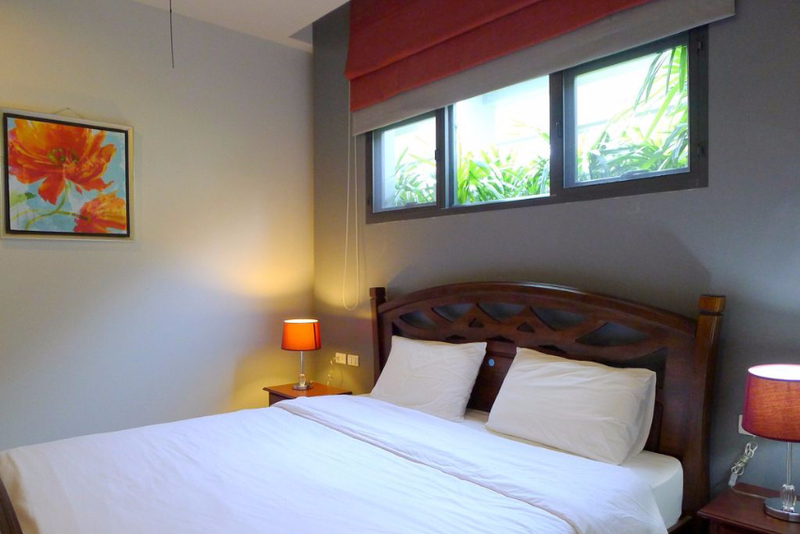 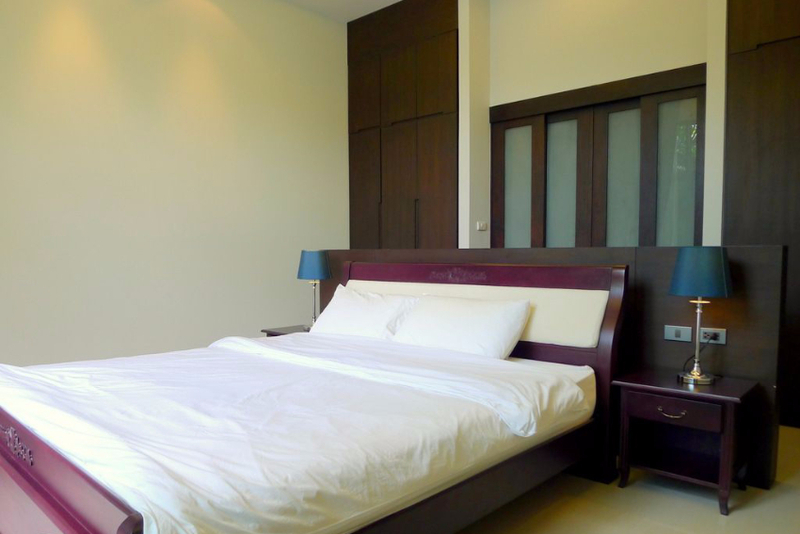 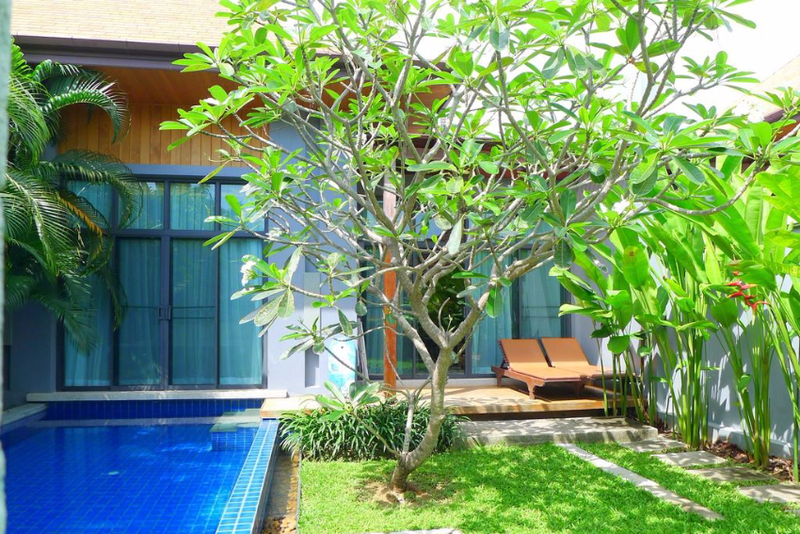 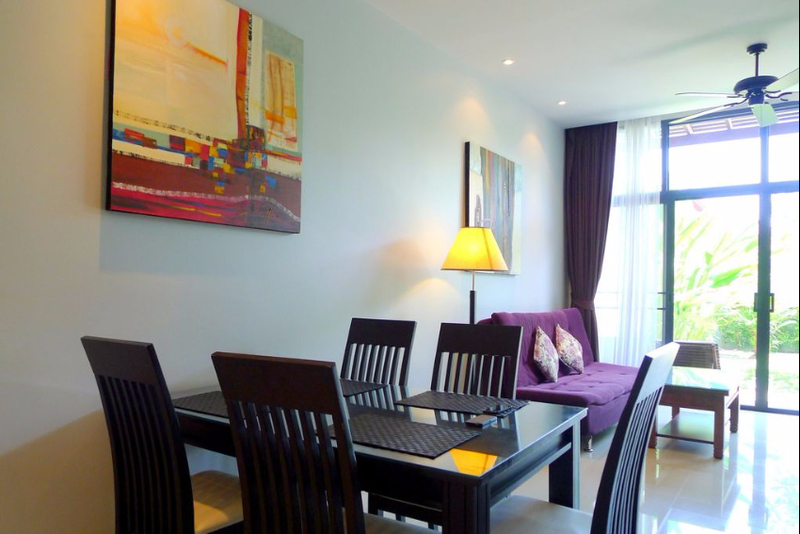 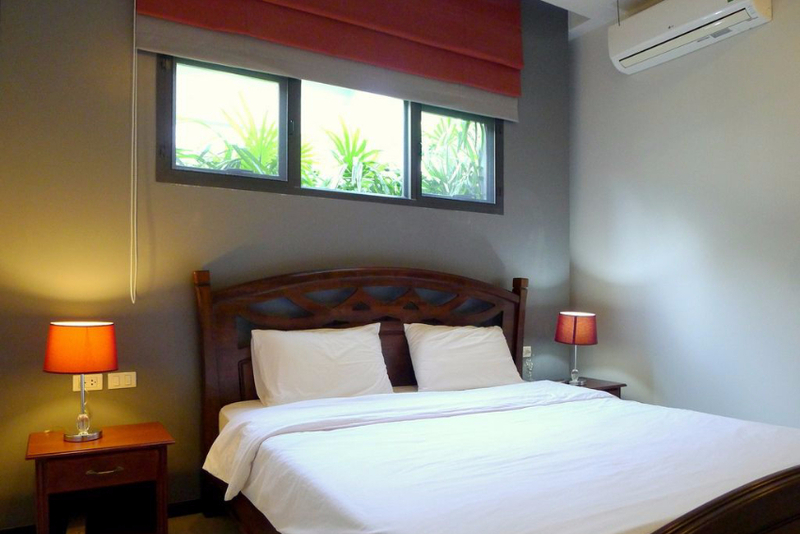 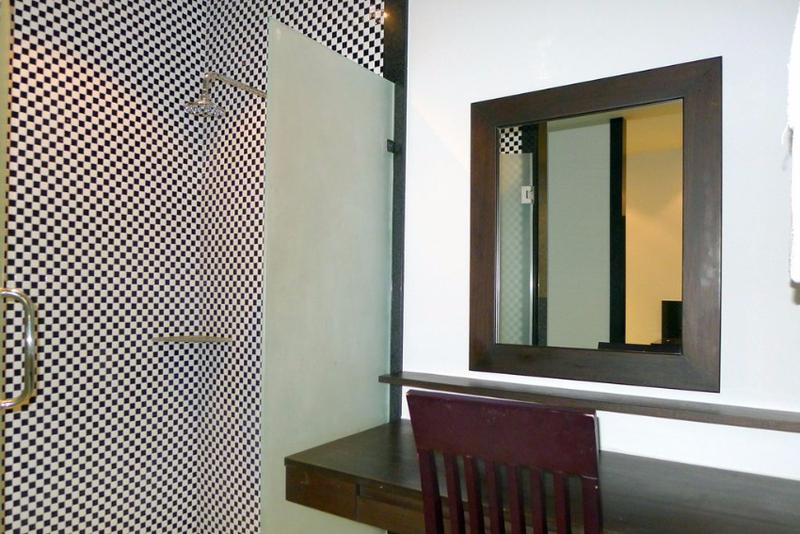 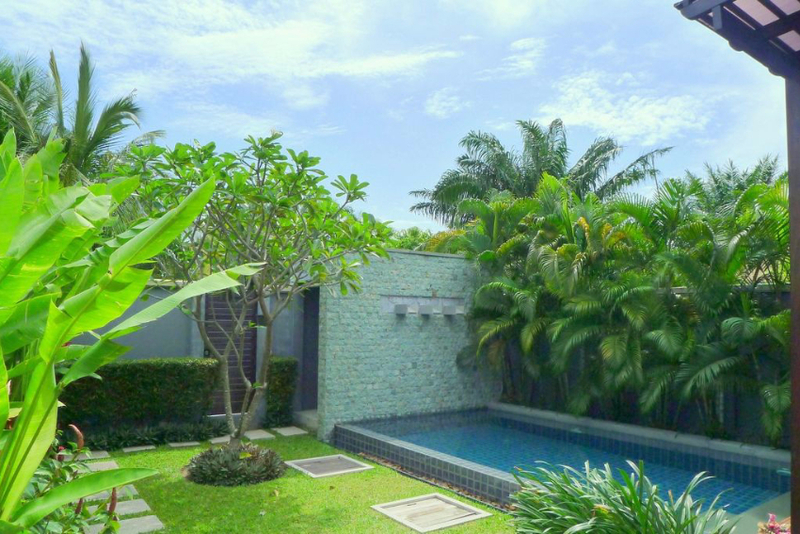 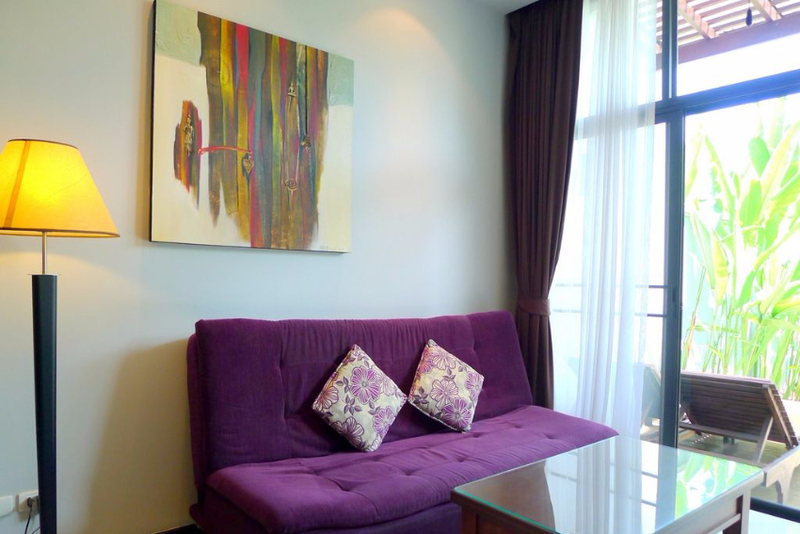 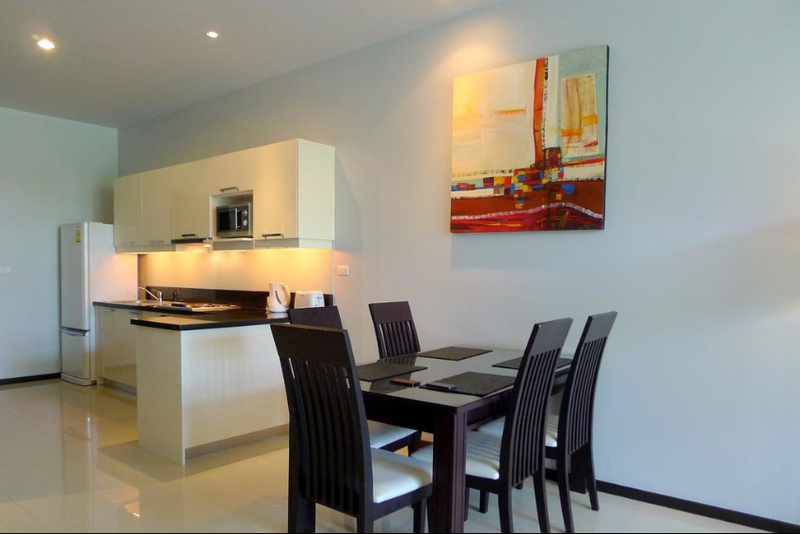 This lovely villa is settled in a secured estate close to Nai Harn beach. 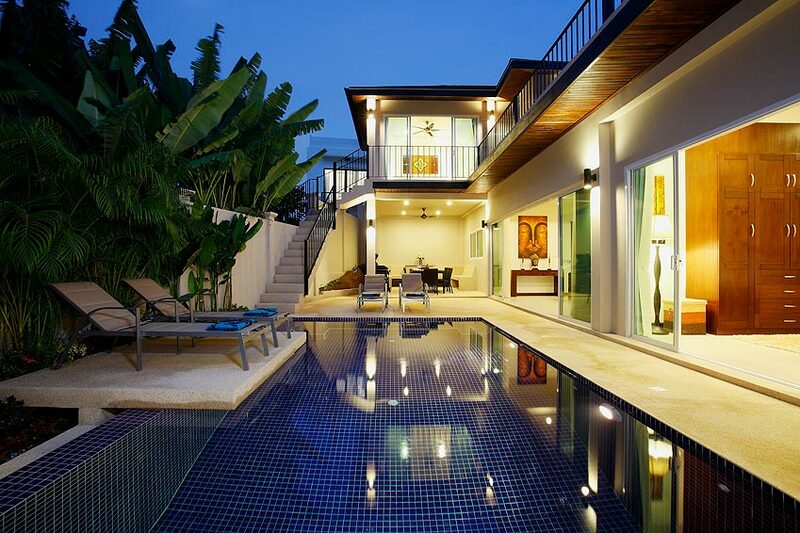 Outdoor there’s a swimming pool, a garden and a terrace with sunbeds. 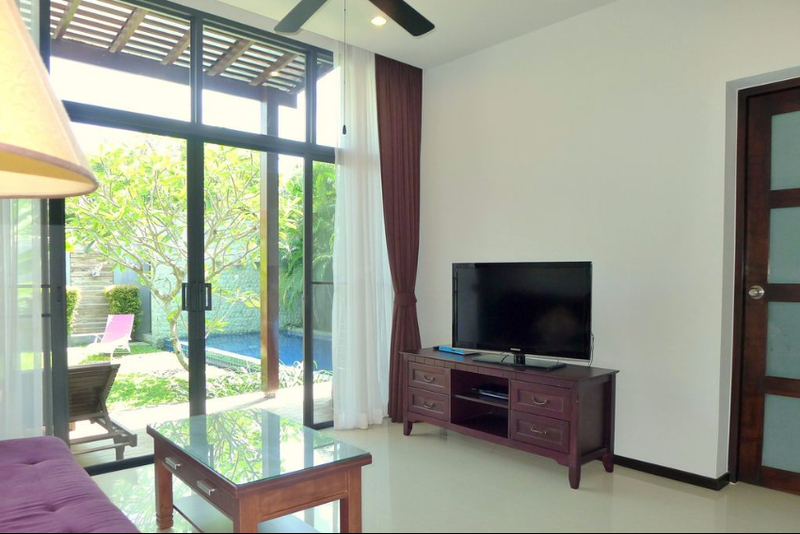 The villa features an open space living room and fully equipped European kitchen with dining table for 5. 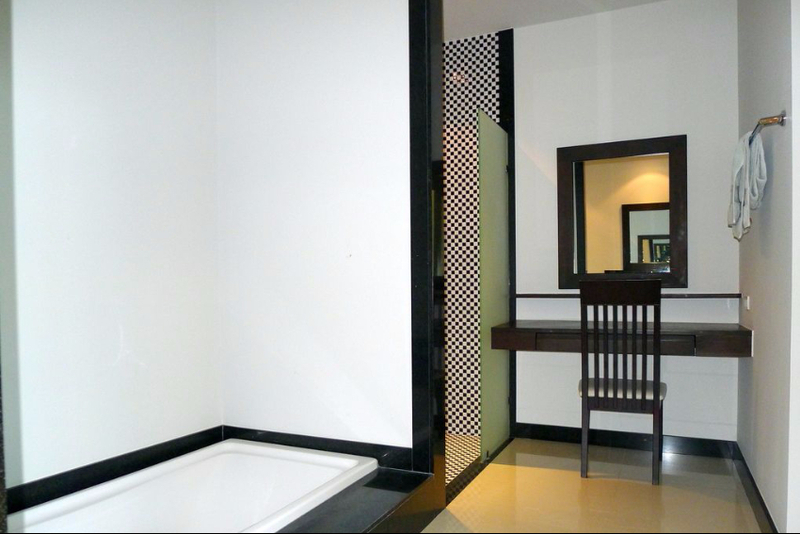 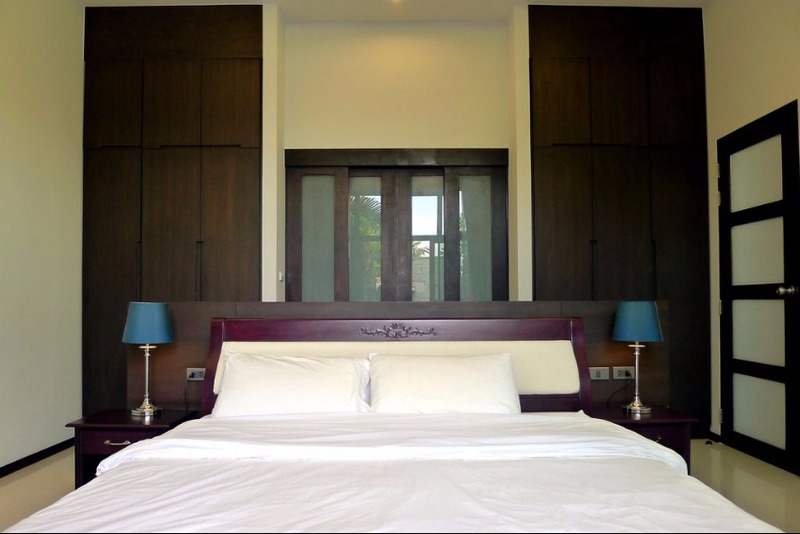 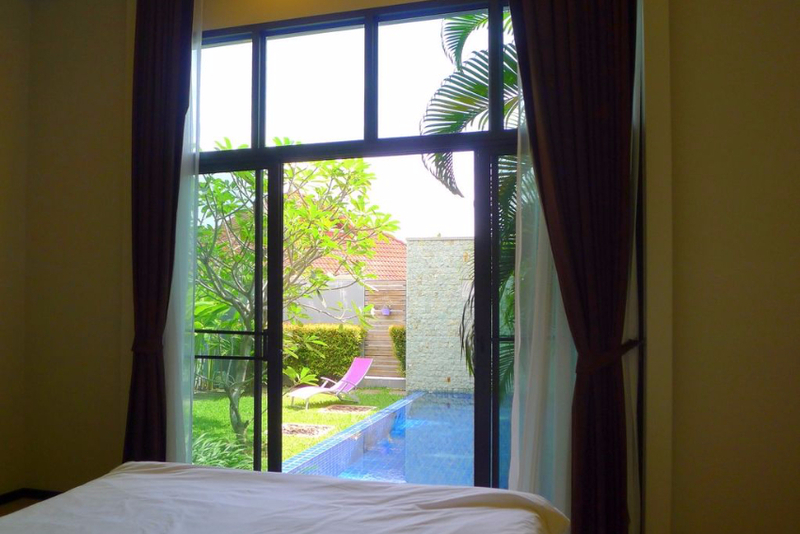 The Master bedroom faces the swimming pool and has a direct access to the terrace as well as living room. 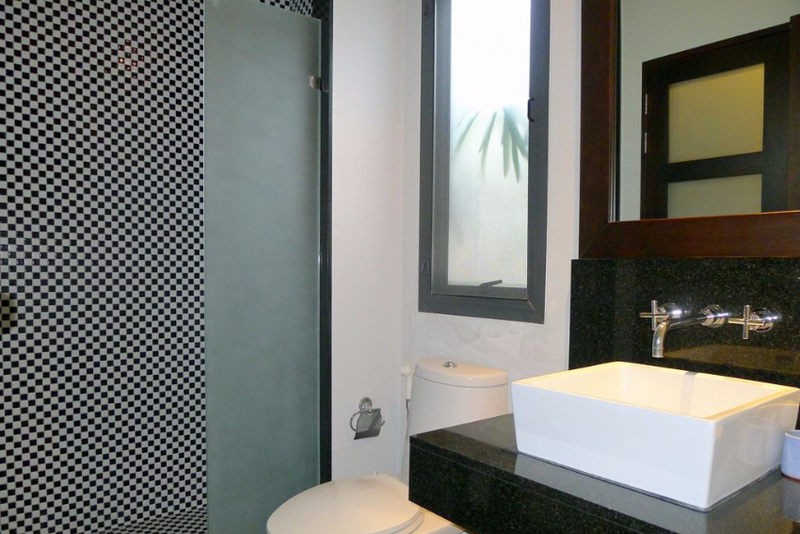 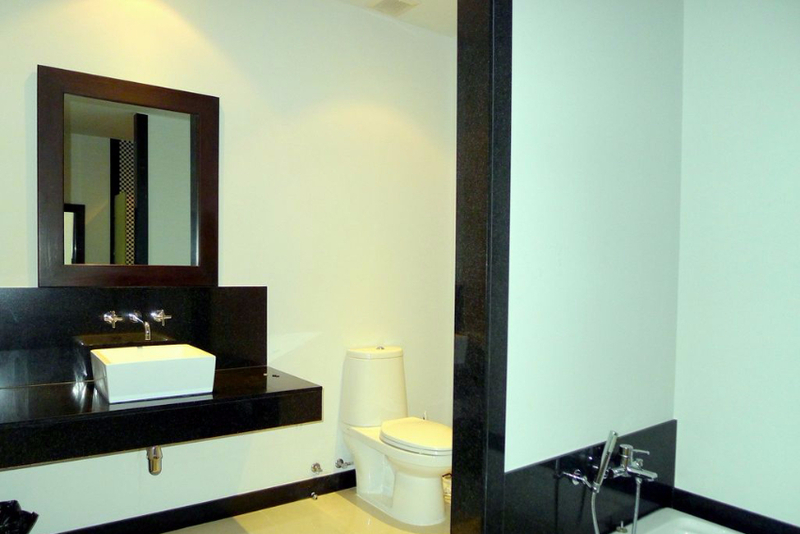 It also has an en-suite bathroom with a bathtub and a shower. 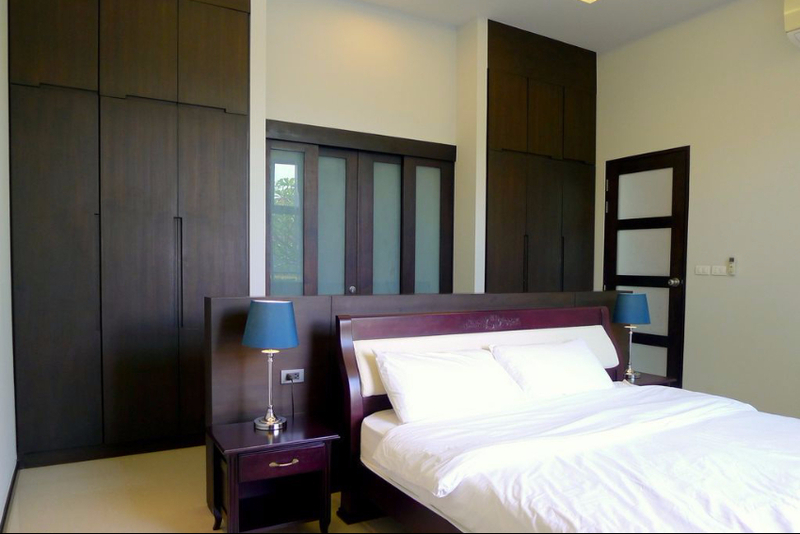 There’s a guest bedroom with double bed and separate guest bathroom.